The pancake! There’s an old tradition in many families all over the world and personally one of my favourite breakfasts. Think stacks of pancakes, syrup, cream and cinammon sugar – that’s enough to get the taste buds watering. This flavour cupcake was a brilliant suggestion from a friend, who is perhaps the most avid lover of blueberry pancakes. 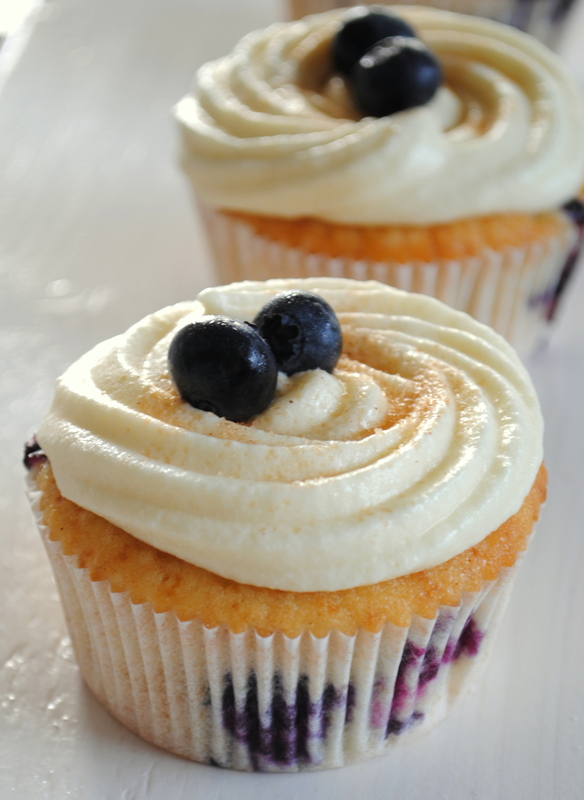 The way he described the maple syrup and the blueberry batter was enough to inspire me to give the blueberry pancake cupcakes a go. The cake is amazing and really tastes like pancake batter, and the icing is a maple syrup cream cheese, covered in cinammon brown sugar. Any pancake chef knows the most important task with making pancakes is perfecting the flip: The only flipping with the cupcakes is flipping out when you realize you’re down to one last cupcake. And forget about tea time – these pancake cupcakes definitely count as breakfast. Blueberries are one of my favourite fruits and can’t wait to taste these when you home again.